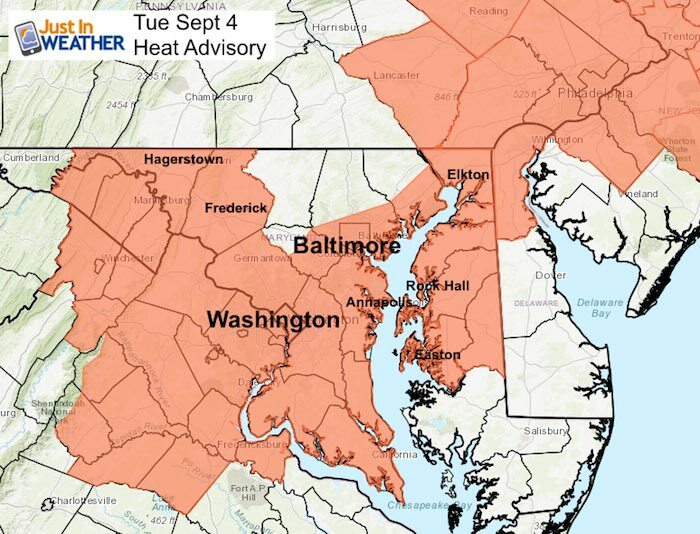 A Heat Advisory today signals how uncomfortable the weather will feel today. 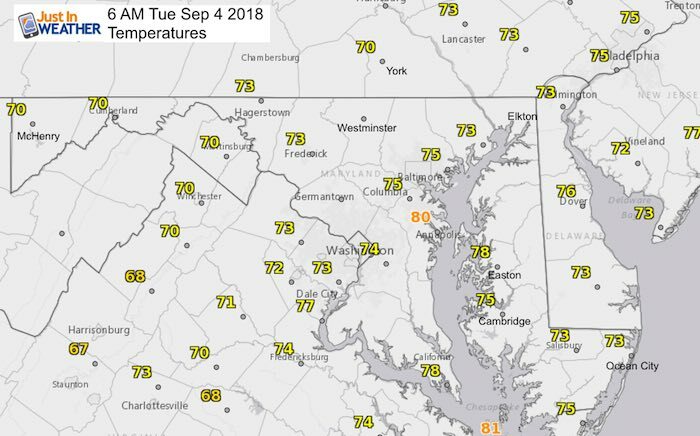 Temperatures are already warm and sticky this morning, but by mid day and this afternoon temperatures will be running 10 degrees above ‘normal’ and will feel like 100ºF. 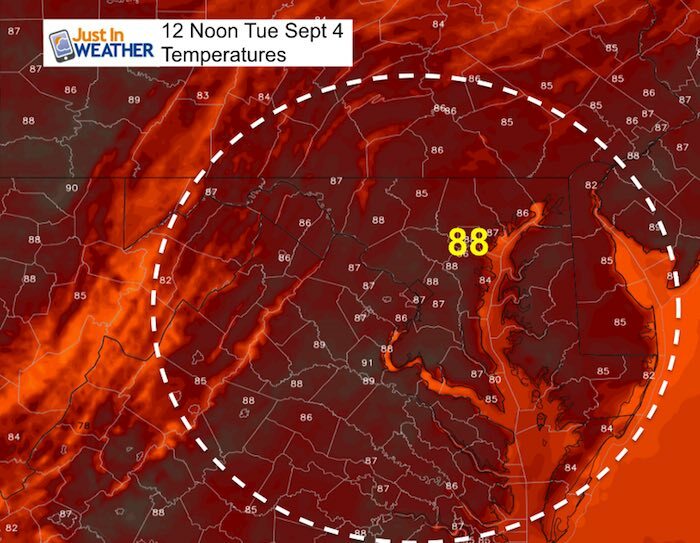 Baltimore County has decided to keep 10 schools closed due to their lack of air conditioning. 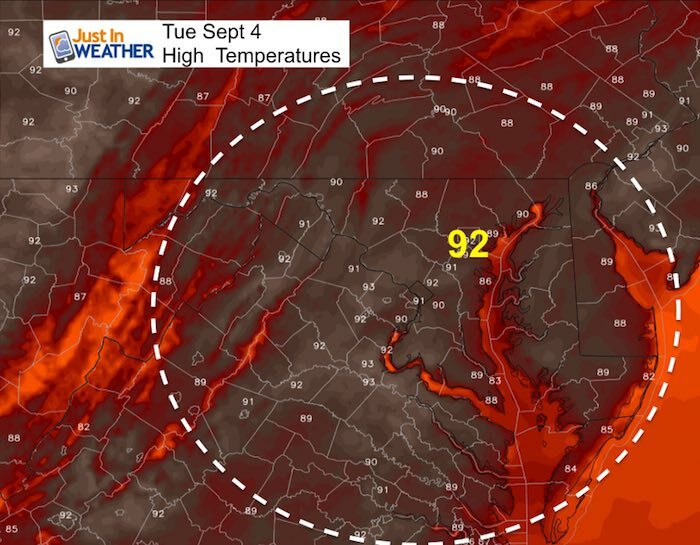 However, Baltimore City is holding school but closing 3 hours early. 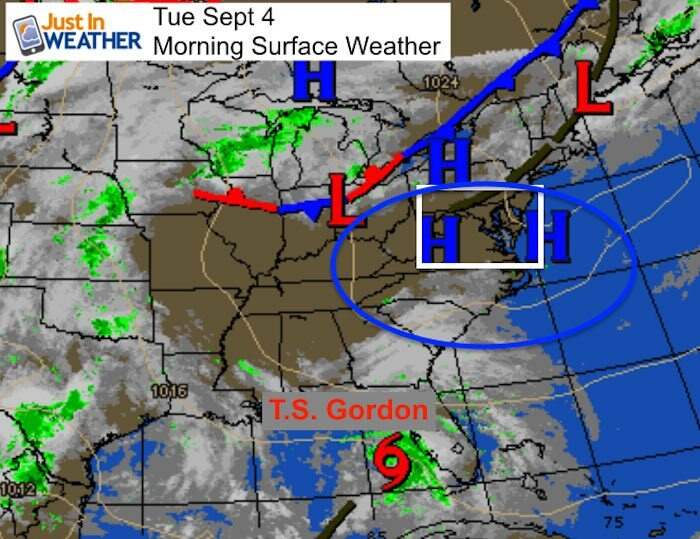 This weather will continue through Thursday, then get some relief Friday and into the weekend. 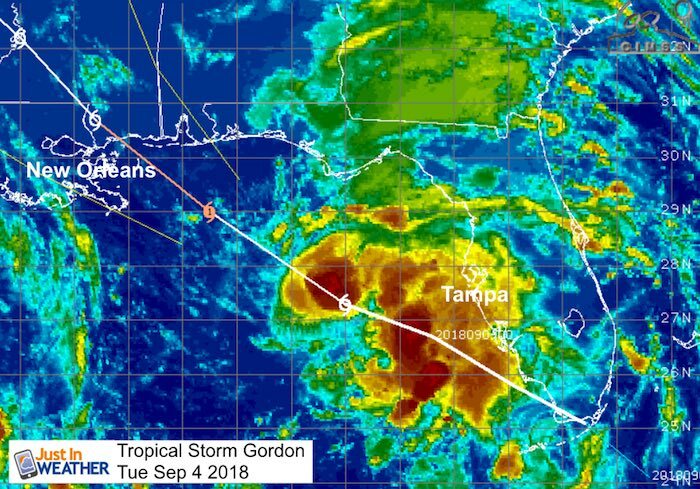 However then we watch a stalling cold front combine with moisture from Tropical Storm Gordon to keep us wet for a few days. 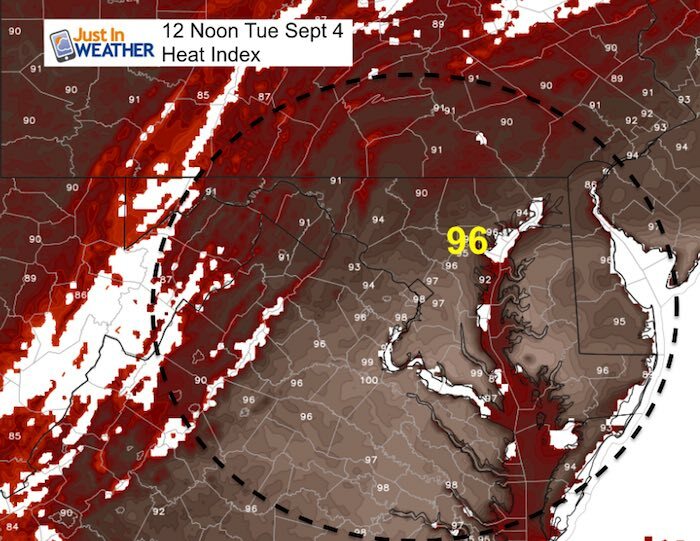 High Pressure is in control and responsible for our heat and humidity. 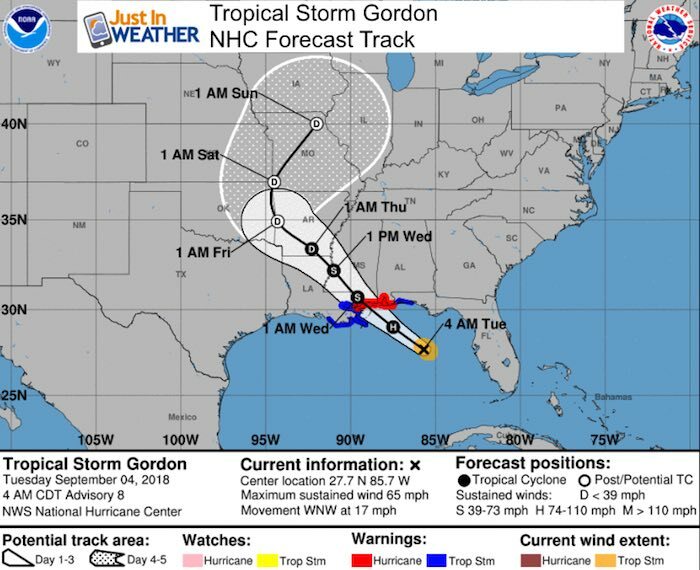 Storms will be isolated this afternoon, but this is directing Tropical Storm Gordon away from us, but into the Gulf Coast near New Orleans. 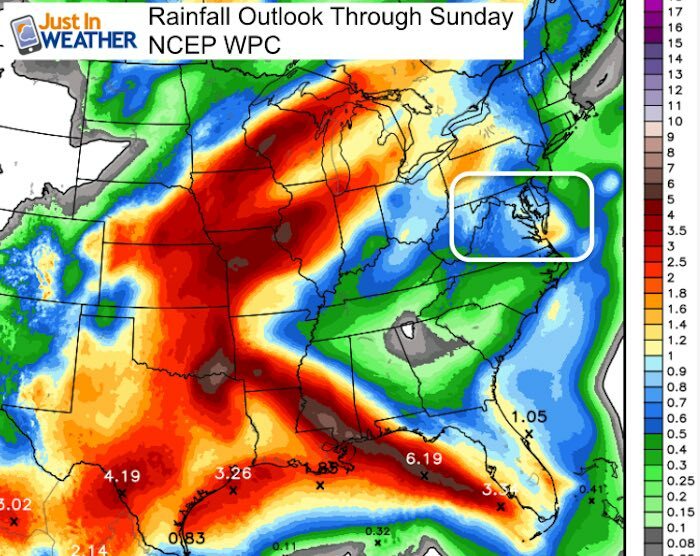 The heaviest rain will be pushed inland well west of us, but some of this moisture will wrap around back in our direction.